CHC integrator, Mallard Manufacturing's Bottle Pick Rack is the latest picking solution for wine and spirits distributors. Mallard Manufacturing's Bottle Pick Rack is the latest application dedicated to boosting order picking efficiency for wine and spirits distributors. The custom design safely secures individual bottles in single-bottle lanes, thus keeping SKU's well organized, easy to see and fast to pick. Mallard bottle pick rack harnesses the economies of gravity flow for the slower moving individual picks just as it would for cases or pallet picking. 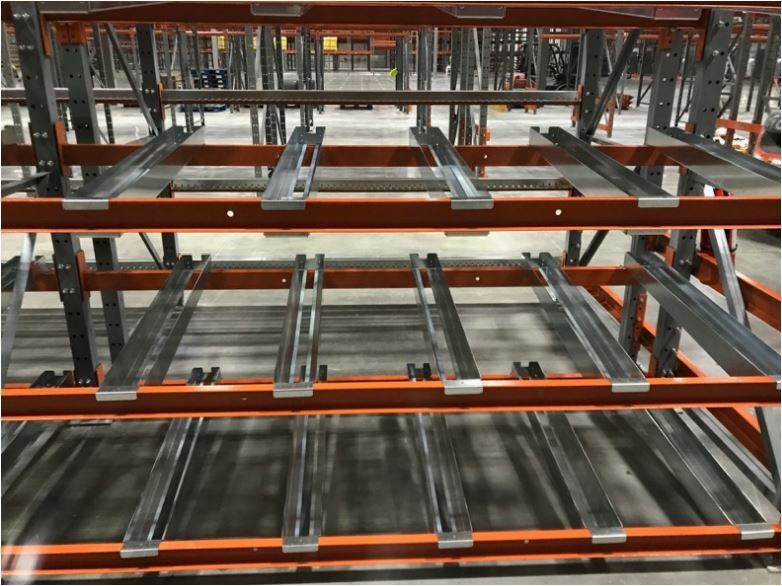 Advantages to a gravity flow solution vs a static rack option include: inventory consolidation, increased pick rates, better visibility for improved accuracy, and automatic pick face replenishment. Designed for push-back loading from the front aisle, bottle pick rack allows for dedicated dense storage for each individual SKU. Each lane is mounted on an incline from front to back therefore, as each bottle is picked, the rear bottles automatically flow forward to replenish the pick face. 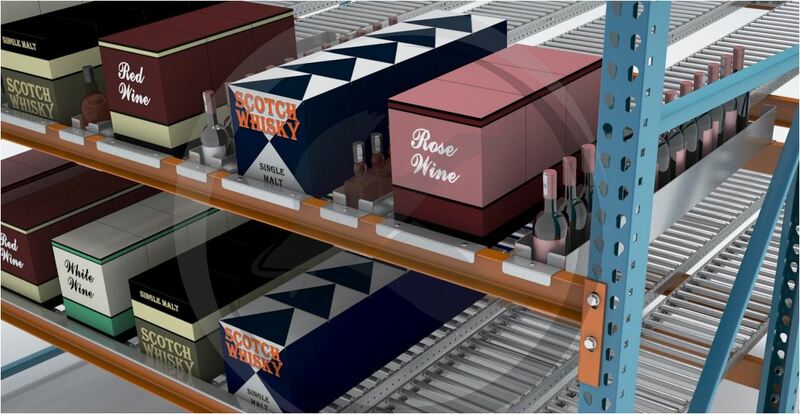 Bottles can be easily selected from the bottle pick lanes and loaded into waiting boxes or totes on conveyor or pick carts. You received this email because you are subscribed to Newsletters from Conveyor Handling Company, Inc..